The ideal easy-to-use guide to finding the right spelling, meaning and alternative word every time. 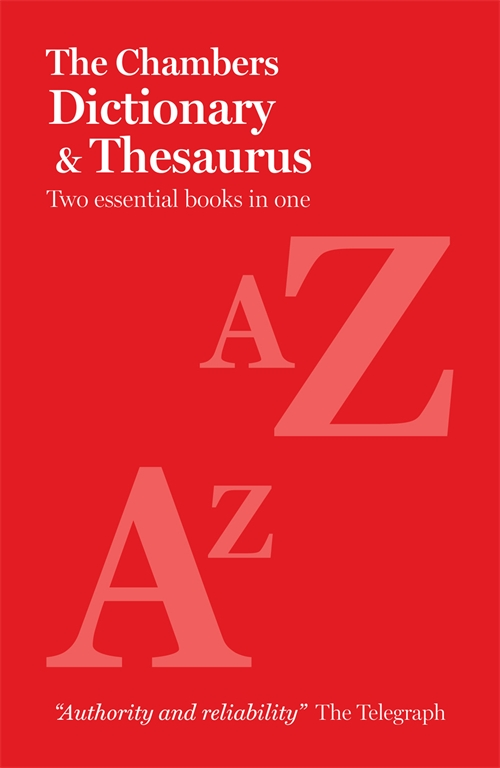 The Chambers Paperback Dictionary and Thesaurus provides thousands of clear dictionary definitions plus thesaurus alternatives for 9,000 common words in a single volume. The dictionary: word entries include information on pronunciation, related terms and associated set phrases to give you extra help with choosing and using the right word. The thesaurus: word entries include numbered alternative meanings as well as antonyms – opposite words – to give you extra context in choosing and using the right word. A selection of ‘types of’ panels gives extra depth in a range of fields from song and dance to food and flowers. New good writing supplement: informs and entertains with tips on style and structure, commonly confused words, words to impress, global English and memory prompts for remembering tricky spellings.